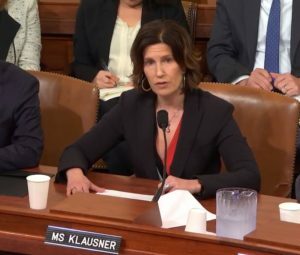 Daphne Klausner, senior vice president of Senior Markets for Independence Blue Cross (Independence), addressed the United States House of Representatives Ways and Means Health Subcommittee at the hearing about the current status of and quality in the Medicare Advantage program on May 8. The hearing involved testimony from a number of witnesses and focused on a variety of topics, including what Medicare Advantage plans are doing well and what the government can do to help spur more plan competition and drive better health outcomes in the senior population. During her testimony, Klausner acknowledged the steps Congress and the Centers for Medicare and Medicaid Services have taken to promote the continued growth of the Medicare Advantage program and identified opportunities for the government to further support the market and drive long-term cost savings for seniors. Klausner also shared the success of Independence’s Medicare Advantage plans in the region’s highly competitive market, pointing to the affordability, added-benefits, and greater care coordination offered by the plans. Other witnesses at the hearing included: Karoline Mortensen, Ph.D., associate professor, Health Sector Management & Policy, University of Miami Business School; Andrew Toy, Chief Technology Officer, Clover Health; and Jack Hoadley, Ph.D., Georgetown University Health Policy Instituted.